Buying your home is one of the most important financial investments you’ll ever make. Our knowledgeable and passionate Mortgage Bankers are here to help … and we’re good at it. Because a mortgage is such an important financial commitment, be sure to take your time and carefully fill out the application as completely and accurately as possible. Not disclosing credit problems up-front or holding back requested documents will only delay the process and potentially prevent the approval of the mortgage loan. So, it’s to your benefit to fully disclose everything about your finances. If you’re buying a home for the first time, the down payment on the home can be the most challenging obstacle. 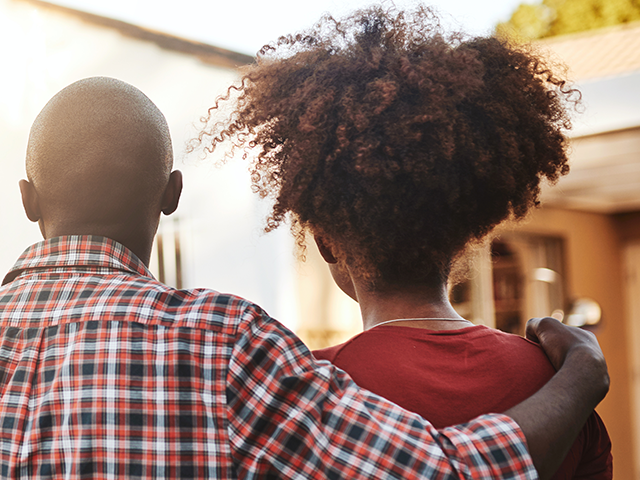 At Hillcrest Bank, we offer a variety of government, state and county bond loans that are designed to offer new homebuyers from 3% – 4% in down payment assistance that could be in the form of a grant or low interest rate loan. We pride ourselves in educating and assisting first time homebuyers and providing knowledgeable Mortgage Bankers that understand all eligibility requirements. Want to learn more about the options available for you? Check out our loans for home buyers. We also have many loan options to help you when you find the home of your dreams. Our Mortgage Bankers are skilled in the art of meeting your unique financial goals and helping you achieve them. Reach out to one of our bankers by giving us some information and they will reach out to you directly. You can start the mortgage process as soon as you decide that you want to buy a home. Talk with one of our Mortgage Bankers today to begin the pre-qualification process. Together, we’ll evaluate your financial situation to find the best solution to fit your needs. Plus, this will help you focus your search on homes that you can comfortably afford. Once you have an accepted written offer (also known as a purchase agreement or contract) on your home in hand, it is time to apply for your mortgage and really get the home loan process underway. You can do that in person, or online. Want find a Mortgage Banker near you? We can help with that, too. We will complete an initial review of your mortgage application and then we will begin the documentation stage of the mortgage loan process. During this stage, we will be asking for critical documents to keep the process moving. These documents will include W-2s, tax returns, bank statements, pay checks and more. If you are self employed there may be additional documentation needed. During the underwriting stage the underwriter will be completing three important tasks in regard to your home loan. The first thing the underwriter will do is compile and organize the documentation you have already supplied. Next, the underwriter will reconstruct your mortgage scenario to make sure it meets all qualification guidelines. And, finally, the underwriting team will take steps to verify that all information you have supplied is accurate. It is not uncommon for the underwriters to ask for additional documentation at this time. In the appraisal stage a licensed third-party appraiser will estimate the value of the home you are looking to purchase. This is meant to insure the home is worth the price being offered. The appraiser will use two basic ways to determine a home’s value. The first, and most common method, is to compare recent home sales in the neighborhood, typically over the previous six-month period. The appraiser might also consider the replacement cost of the property when estimating value. After the loan has been approved by underwriting and the appraisal has been confirmed to be sufficient, you are approved. The approval you receive at this stage is conditional and assumes that nothing significant will change between now and the time we fund your loan. So, remember, no major purchases and no radical or extreme life changes. Here are more tips on what to avoid during the mortgage loan process. Congratulations! We have officially gained our clear to close. This means your mortgage loan has been fully approved and final documents are ready to be prepared. Barring any unforeseen last minute changes, you will have the keys to your new home very soon. At this time, a closing date will be scheduled for the loan. At the closing, we will “fund” the loan with a cashier’s check, draft or wire to the selling party in exchange for the title to the property. This is the point at which you have completed the loan process and the transaction is “closed” and you can begin moving in to your new home!